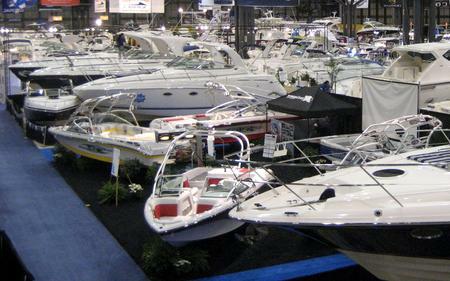 The Baltimore Boat Show is an annual event that has been going on for over 50 years. It takes place every January in Baltimore, Maryland, and showcases the best of the industry to people who like boats and who are looking to buy. Experts from around the world come to this show to educate people, demonstrate their equipment, and provide people with the latest and greatest in boating technology for their various desires. The highlights of the show are its free admission, 100+ exhibitors, and the great guests that come to the show each year for special appearances. The Baltimore Boat Show is a great experience and is offered in January to help beat the winter blues that can easily develop in the New England states. It takes place at the Baltimore Convention Center and provides sales, information, seminars, personalities, and contests for boaters and people who just want to enjoy a good time. The personalities are different every single year, as are the seminars, contests, and boats on display, always featuring the latest and greatest in the boating world for people to enjoy, no matter what boating passion they might have. This show is open to the general public and is a great activity for families, couples, and individuals. Anyone can head out to the Baltimore Boat Show and have a great time. The 2011 show featured Russell Newberry from Deadliest Catch and Joe Orsulak from the Baltimore Orioles, along with panels about sailing, cruising adventures, and fishing excursions in and around the area. Vendors from all over come to this show to display their wares and products, no matter what affiliation they have with the boating industry. You can find everything at the boat show, regardless of what you might be looking for, even if it’s just a good time. Attending the Baltimore Boat Show is fun for any boating enthusiast, but it can also be a great time for people who don’t boat as frequently. It is a great way for you to get out and experience some interaction with great people and have a good time inside a warm building where everyone pretends that it is summer and they can be out on the water. Whether you’re looking for something to do for the weekend or actually interested in buying a boat or checking out the latest products, the boat show is a great place to go.